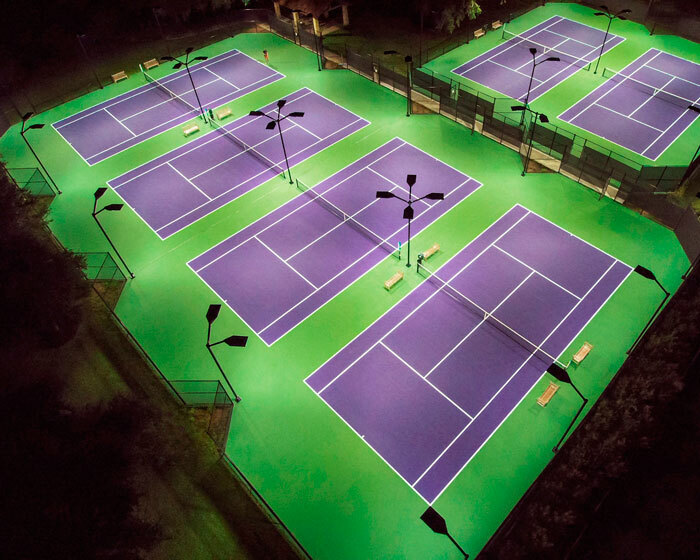 On November 12th, 2016, the Clubs at Houston Oaks held a grand opening for their new tennis facility. Located in Hockley, TX, the new facility includes a tennis clubhouse and six USTA-regulation tennis courts with a Plexipave surface. LSI Sports Lighting supplied (48) LED CourtBlade fixtures for the tennis courts. The contractor for the facility was American Sports & Concrete located in Houston, TX. The Club has hired three-time Olympian and seven-time major winner Liezel Huber and her husband Tony Huber to run the tennis club. Their hope is to grow Houston Oaks’ tennis club into a world-class program teaching players of all ages and skill levels. Copyright ©2019 Frasure Reps Sports Lighting. All rights reserved.